Summer 2010 American Sewing Guild Magazine, Notions, carried an intriguing article about making fabric Jewelry by Heidi Pridemore. The projects use such small scraps of fabric that we had to find out more. The links listed here will spur your imagination and have you saving every single scrap of fabric. 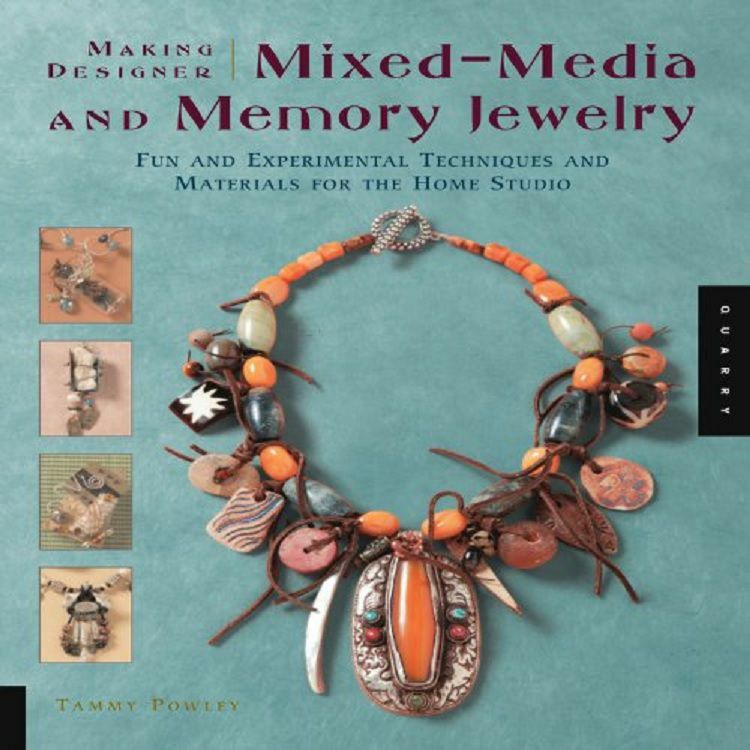 Jewelry making guide Tammy Powley has a wealth of information on using various fibers to create jewelry. You'll use up ribbon and more in no time flat with her information. We love this necklace and the ideas it spurs! You'll be using up fabric and who would have thought, you could turn fabric into metal. Amazing! This great, simple necklace, will not only use those small fabric scraps, but you can also raid your button collection to finish it off. Try picturing a round bead on to of the buttons! 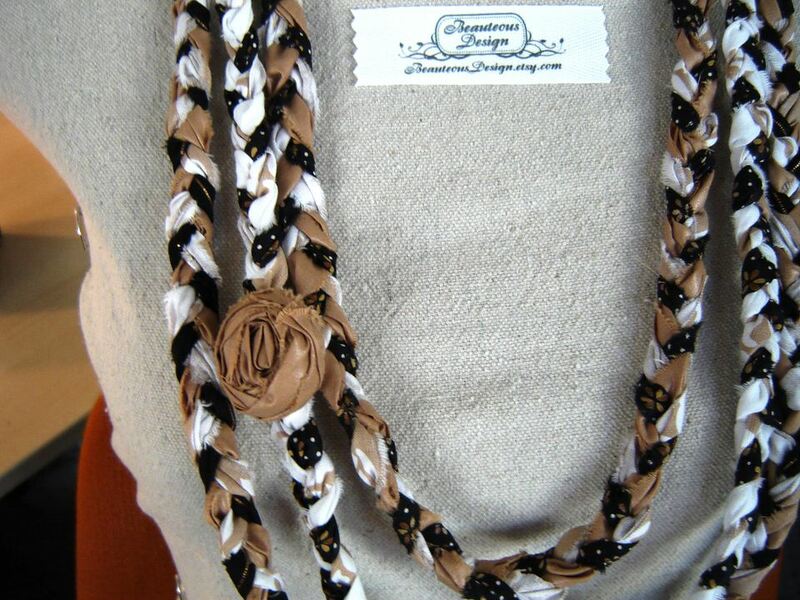 This neat necklace is a great way to use up scraps of fabric and those metallic or fancy threads. This is a great way to make a colorful necklace with endless possibilities. We all have tee shirts that we don't want to part with and this tutorial will put those tee shirts to good use. You'll be wearing them in a whole new way! We love the simplicity of these easy to follow directions. This necklace can be a single color and have a splash of color to coordinate with a specific outfit or dress up a multitude of outfits.